Land Deal Case Live: Robert Vadra and his mother Maureen were directed to appear before the Enforcement Directorate by Rajasthan High Court. Land Deal Case Live: Robert Vadra arrived in Jaipur along with his mother. 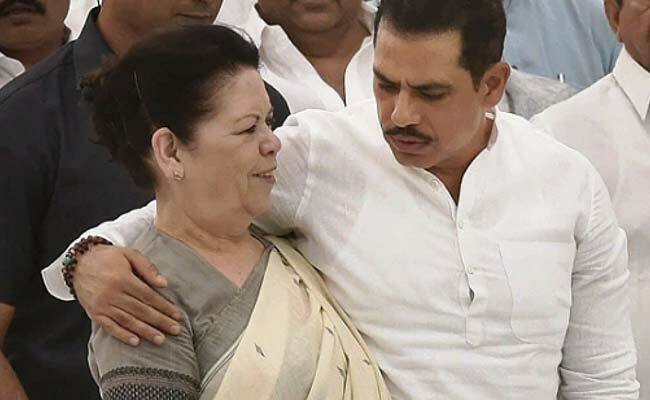 Businessman Robert Vadra appeared before the Enforcement Directorate along with his mother who is partner in a firm, Skyline Hospitality, for questioning in Jaipur in a money laundering case. The probe agency has accused Mr Vadra of letting the personal driver of an associate, Mahesh Nagar, pay for buying land in Rajasthan's Bikaner with a cheque drawn on behalf of his mother Maureen. Robert Vadra, brother-in-law of Congress President Rahul Gandhi arrived in Jaipur along with his mother Maureen. His wife and newly-appointed Congress General Secretary Priyanka Gandhi Vadra reached on Monday night. Robert Vadra On Questioning Of Mother Maureen Vadra: "God Is With Us"